I am a writer and for me, words are like sweeties. They have colour, shape, flavour, and they can turn a dull day bright. So those were the stories ‘on the outside’ but I also had a constant internal narrative. It wasn’t always the same one, I had different stories for different days, stories for day time and stories for night time, but it was never quiet inside my head. 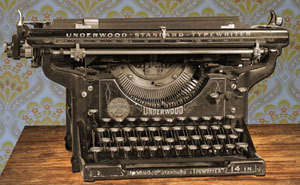 I was eleven when my dad gave me an old-fashioned, sit-up-and-beg typewriter and I sat down to write my first novel. It ran to three pages of close typing. I was scornful of ‘real’ novels, what was the need for all those extra pages?! In my late teens I was introduced to folk music and loved it. It wasn’t cool back then (not that cool now) but I didn’t care: the songs were jam-packed with story and the joy they brought has never faded. Even now I attend and sing at the local folk clubs. Not surprisingly, one of the novels I’m currently working on (Looking for Jonah) features a Seventies folk rock band, as well as a missing child. So that’s me. I hope you enjoy travelling round my site. You will find extracts from my novels to whet your appetite as well as my blog and some information about where I live – the wonderful far west of Cornwall.